1. 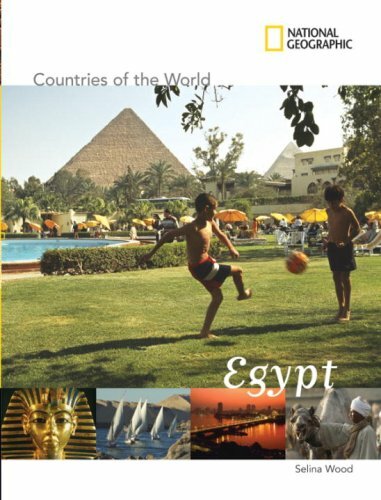 Egypt in Pictures (Visual Geography. 11. 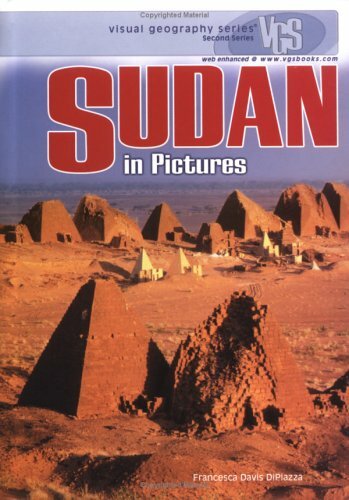 Sudan in Pictures (Visual Geography. For the last several decades an influential group of Egyptian scholars and public intellectuals has been having a profound effect in the Islamic world. Raymond Baker offers a compelling portrait of these New Islamists--Islamic scholars, lawyers, judges, and journalists who provide the moral and intellectual foundations for a more fully realized Islamic community, open to the world and with full rights of active citizenship for women and non-Muslims. The New Islamists have a record of constructive engagement in Egyptian public life, balanced by an unequivocal critique of the excesses of Islamist extremists. Baker shows how the New Islamists are translating their thinking into action in education and the arts, economics and social life, and politics and foreign relations despite an authoritarian political environment. For the first time, Baker allows us to hear in context the most important New Islamist voices, including Muhammad al Ghazzaly, Kamal Abul Magd, Muhammad Selim al Awa, Fahmy Huwaidy, Tareq al Bishry, and Yusuf al Qaradawy--regarded by some as the most influential Islamic scholar in the world today. A potentially transformative force in global Islam, the New Islamists define Islam as a civilization that engages others and searches for common ground through shared values such as justice, peace, human rights, and democracy. 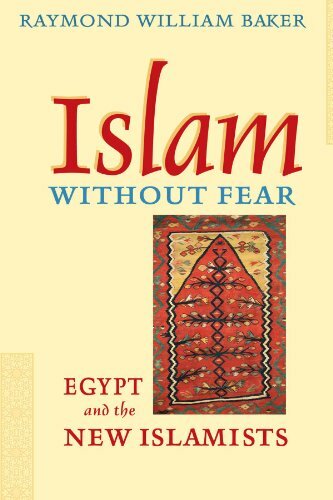 Islam without Fear is an impressive achievement that contributes to the understanding of Islam in general and the possibilities of a centrist Islamist politics in particular. Often in contemporary political discourse about Islam and Islamist movements, one hears either that there is no such thing as moderate Islamism, or that if there are any moderates they are marginal and insignificant.Surely, the thinking seems to go, if there were any moderate Islamists we would have heard of them by now.Professor Baker's book undercuts this conventional wisdom, demonstrating that the mainstream of contemporary Islamism discourse is in fact the moderate Wassatteyya trend.However, his challenge to the prevailing wisdom on the subject is not merely an empirical one, but a conceptual one as well.On the most basic level, what are we to make of non-Western ideologues endorsing commitments we take to have a Western provenance?And more importantly, how is the term "moderate" to be used in characterizing Islamist discourse?Does being moderate mean endorsing American foreign policy in the Middle East across the board?This is the position of the various RAND Corporation studies on the subject; there are no "moderate Islamists," only scattered pockets of "moderate Muslims" whom the US government ought to fund and organize to maximize their impact.If Baker is right, however, "moderate" should have a more dynamic, more contextual significance.Qaradawi for one has not absolutely rejected suicide bombing, female circumcision, or domestic violence, arguing instead that they can be legitimate under exceptional and abnormal conditions.Within our own political debates, this would obviously count as an extreme point of view; within Islamist discourse it counts as center-right.If our aim is to find opinion leaders in the Middle East who are on the same page with us about everything already, then we might end up with a fairly restricted set of moderates on our map (although, if Baker and Bruce Rutherford are right, even in that case it would be a bigger and more mainstream set than is typically thought).If, on the other hand, our aim is to open a dialogue, leveraging what points of agreement we already have so as to work towards convergence on the rest, then Baker's classification is the right one to use.Whichever tack one ends up taking, this book remains the best point of entry to the topic. This highly readable and highly relevant book has given me an entirely new perspective on politics in the Middle East. Anyone concerned by the results in Iraq of our current understanding of the Middle East will see in this book the road map to another way.Baker provides perhaps the most balanced, well-informed, and optimistic perspective on Islamist politics available today. Whether you consider yourself conservative, liberal, or right down the middle, this book is a must-read. 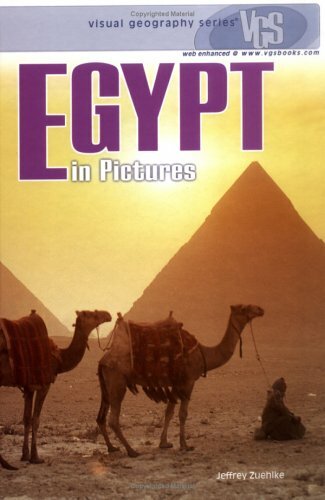 Daniel Pipes has said that Baker's books on the Abdel Nasser and Sadat eras, 1954-81, bespeak his familiarity with the Egyptian political scene; as he puts it, he has made "a voyage to an intellectual, cultural, and moral world into which I was not born but where I no longer feel a stranger." Islam without Fear clearly shows the strengths and weaknesses of this voyage. On the plus side, Baker not only knows his topic but has a feel for the Egyptian scene, both Islamist and otherwise. His survey of the "New Islamists"--a group of important Egyptians (such as Kamal Abul Magd, Muhammad Selim al-Awa, Tareq al-Bishry, Muhammad al-Ghazzaly, Fahmy Huwaidy, and Yusuf al-Qaradawy) at the vanguard of Islamist ideological development--is informed, smart, and supple. He documents their thinking, assesses their achievements and failings, and points to their significance. On the minus side, Baker, professor of international politics at Trinity College, Hartford, has lost any sense of objectivity and instead adopted the outlook of his New Islamist subjects, for whom he serves as an English-language cheerleader. Rehashing the silly and discredited trope distinguishing between moderate and extreme Islamists, he treats the leading lights of the world's most vibrant totalitarian movement with an overt and embarrassing enthusiasm (centrist, positive, impressive, human, and humane are adjectives describing them that appear in just the book's first five pages). Worse, the study contains an element of deception, a hiding of problems, symbolized by Baker's long account of a headline-making debate in January 1992 between Qaradawy and an arch-secularist named Farag Foda but his omission that this exchange contributed directly to the assassination of Foda five months later by an Islamist terrorist. It is true that the Islamist scholars have taken over the arena in Egypt; however this is a result of the governmental media, which sees in liberals a threat to its own authority. Liberals in Egypt are in part, those who stood on Sadat's side when he started a number of reforms in the late 70s of the last century. 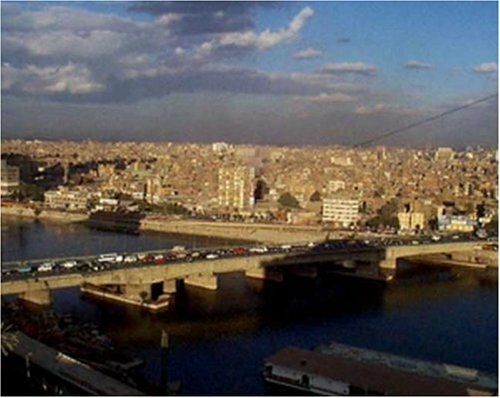 They do have a practical view for Egypt. They are the grandsons of those who ruled Egypt in the first half of the 20th century. In Egypt, as in many other countries of the third world, a President comes to ruin the picture of the President before him. Nasser did that with Naguib. Sadat did that with Nasser. Mubarak won't build a new tradition of course, since he is a clerk more than a politician! Since the start of his rule, Mubarak brought back Nasser's second line of men in. Among them was Safwat ElSherif, (Information Minister for more than 22 years thereafter), Mufeed Shehab (High Education Minister for about 10 years and one of those who Sadat detained in the 15th of May reform revolution of 1971, as he called it) and Kamal El-Shazli (Minister of the affairs of the People's Assembly for many years and the most hated man in Egypt today). These men didn't give a chance for liberals to speak out. They draw the government's picture, as if it was the only liberal force in the country. As if the government is the only one which wants relations with Israel. As if the government is the only one which can have relations with the USA and the West. By silencing their voices, the government guarantees that it is the only one which can have relations with the outside, be it the USA, the rest of the West, or even Israel. The government doesn't want to have a competitor in its relations towards the outside. If outsiders see it that way, then it would be an ultimate success for her. Sadat's legacy had to be buried down, and Mubarak was to be branded the man who did everything, even the Yom Kippur war!!!! At the time, the USA maybe knew that, but its interest went on with Mubarak and his corrupt regime. However, now things have changed, and the USA knows where the liberals are, and she knows that they are buried by the government and are ignored from speaking out and saying what hey have to say. Islamists are a Ghost used by the government, and were given a way by it. Many of the Islamist intellectuals mentioned in the book were given way to media by the government "controlled media". They would have never been the lions of the arena unless there was government support. Therefore, today, "Kefaya" which is a civil society movement and made up mostly of the Islamists, Nasserites and Leftists, is not that dangerous for the government, but actually very helpful. Also, the latest clashes in Alexandria between Muslims and Christians, over a play said to be "against Islam", might be instigated by the government itself, so that it sends Washington a message indicating that it fights extremist Muslims while it is so moderate! Thanks God, since Washington is not that stupid as the Egyptian government thinks! The Egyptian government is making everything possible to survive the un-survivable. It is in panic and is taking the wrong decisions in the wrong time. Liberals are awaiting a chance to come out. They know that about 40 million "silent majority" are supporting Liberalism. Many in the West have been deceived, like the author here, by just observing the cream of the Cake. Many have said that people in Egypt were happy that Sadat was killed, by just observing what they see, without any added effort to see what is hidden within society. Islamists might take over for a while till people who vote (and this will not take long) will see what these people will do. Egypt is not ready to be another Taliban. Most people in Egypt are liberals, even the poor, like Peasants, who r not ready to give up their profit, to the backward brothers. This digital document is an article from The Geographical Review, published by American Geographical Society on October 1, 2003. The length of the article is 1091 words. The page length shown above is based on a typical 300-word page. The article is delivered in HTML format and is available in your Amazon.com Digital Locker immediately after purchase. You can view it with any web browser. 6. 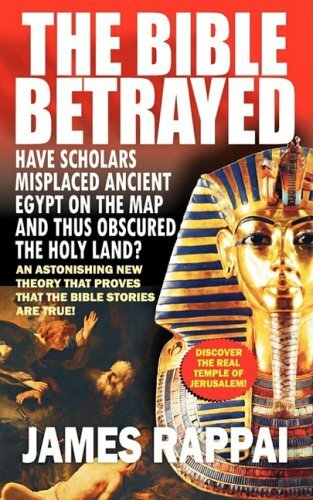 The Bible Betrayed: Have scholars misplaced ancient Egypt on the map and thus obscured the Holy Land? LOL! What a silly book! Wow, ....wow. This book is so un historical it isn't even funny. I want my money back! I GIVE THIS GUY THE 4As!! The scope of this book is immense. The author, James Rappai has managed to do what a hundred nay a thousand scholars before him tried and failed to accomplish! Okay, histrionics aside, what Mr. Rappai has done is single-handedly resolve the Bible anomaly of missing archaeological evidence. In the process, he blithely dismantles the 'sacred' Egypt reconstruction and ships it lock-stock and barrel to the Near Eastern arena. Is one allowed to do this? Do I find it believable? Frankly, I am a little bewildered, but if you ask me, does it make sense, I have to say... sure. Why the hell not. The Egypt reconstruction is not all robust as it seems. True, there are the ruins, but the story that goes with it, is not all 'kosher.' The fit is a sham. There is a lot that has been quietly swept under the carpet. It is entirely possible that we have clothed one set of ruins with the garment of another, as Rappai suggests. The inexplicable presence of Egypt in Syria has always vexed Egyptologists. Indeed, to accommodate this powerful magnetic pull, this region has been considered an annexe of Egypt. 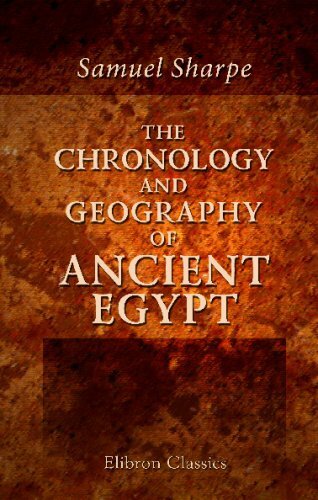 A must read for every student of Egyptology and biblical studies. A must read for all the armchair explorers out there who want to sink their teeth into areal live-wire history mystery, one that take on a hundred thousands scholars head-on. The Bible Betrayed attempts to resolve the enigma of missing archaeological evidence for the Bible. It suggestions that the reconstructed map of the Levant (including the Holy Land), suffers from an error and is indeed the root cause for the Bible's archaeological no-show. While this is indeed the standard position of the biblical maximalists, the author suggests that the map suffers from a fundamental or fatal error reconstruction error. What is this fatal error? Ancient Egypt was misidentified and misplaced. Ancient Egyptians were poor builders, and textual sources reveal them to have been a sophisticate populace much along the lines of ancient Greece. What we have now is exactly the opposite and clearly a case of mistaken identity. The Egypt error skews the whole map. It caused Ethiopia of the Greek scholars and Canaan of the Bible to be separately reconstructed when in reality they are merely two different perspectives of the same city-state. This fact is elaborately established by tallying similarities between the two. History, topographical and political similarities are painstakingly tallied. The author cleverly uses corroborating ancient world textual sources such as Strabo, Josephus and Herodotus, to establish it in an irrefutable and transparent manner. 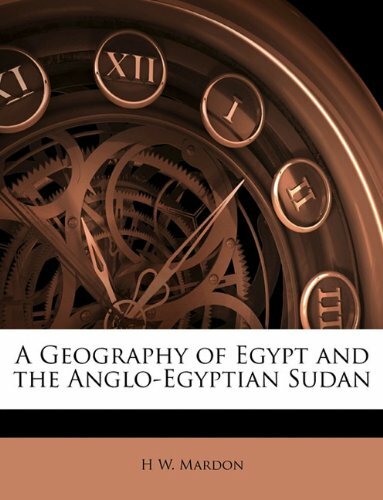 Incidentally, tracing the root cause of the Ethiopia-Canaan duplication is what that leads to Egypt error. 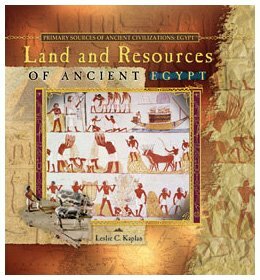 Once again, using the corroborative approach, the author establishes that ancient Egypt too is erroneous. 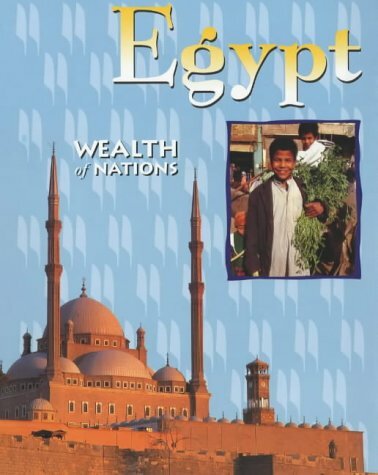 Real Egypt was located in the Middle East where Syria is situated. 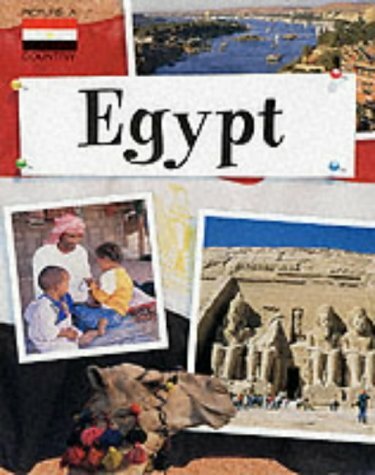 With incredible easy the author eases Egypt into an altogether different landscape. 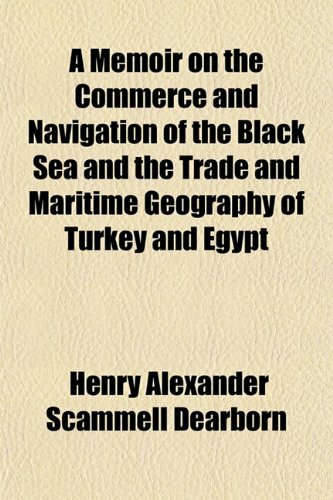 The Nile and its delta are identified, and indeed, the whole reconstruction is expertly put into place in the most believable manner. The fit too is hand-in glove and everything makes much more sense. Frankly, the entire presentation is very unnerving. As if this weren't enough, the new map is tested; it is used to locate Jerusalem. Here, a key extract from Strabo comes in handy. Jerusalem which was located in the mountains, was visible from the coast, it states. Using this clue, a fort-temple ruin set on a mountain ridge is triangulated. Closer examination reveals it to be a perfect match. The acropolis is exactly as described by Josephus and Strabo. 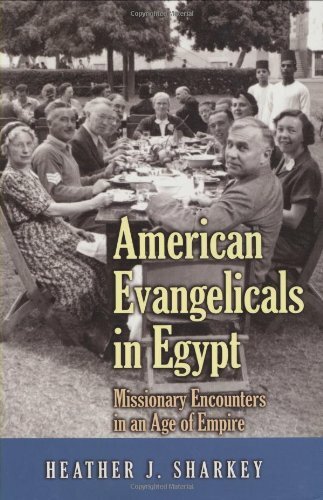 One look at the photograph (use `customer image' link beneath the title image to reach) is enough to trigger cardiac arrhythmia amongst seasoned bible archaeologist. The resemblance is so uncanny! The book is well written and written for the lay audience. All the arguments are structured well and the complex unraveling of this Gordian knot is indeed expertly done. 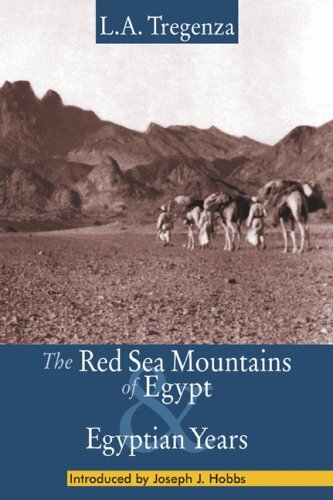 In The Red Sea Mountains of Egypt and Egyptian Years, English scholar and explorer Leo Arthur Tregenza (1901-98) describes an Egypt unknown today. In his prose the Nile still floods, and Bedouin of the desert practice a way of life unchanged for thousands of years. L.A. Tregenza came to Egypt in 1927 to teach school, and remained until the 1952 Revolution. His passions in his native Cornwall had been the civilization of Rome, natural history, and walking. He carried on all three in Egypt, traveling on foot during school holidays through some of the country's wildest and most historic landscapes. 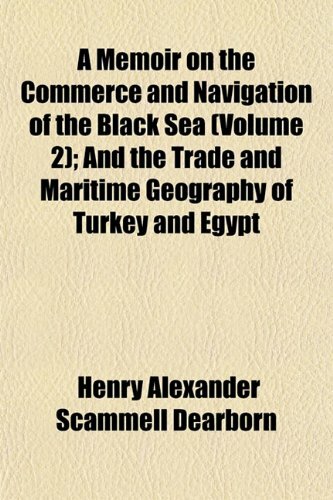 The books deal mainly with his three long treks (1947, 1949, 1951) in the Eastern Desert. They also provide an extremely valuable depiction of the pre-High Dam rhythms of the Nile and its rural people. Walking with Tregenza, the reader probes the Greek and Roman mining and quarrying sites of the desert wilderness, including Mons Porphyrites and Mons Claudianus. When Tregenza finds an inscription he translates it on the spot, drawing us closer to the lives of those who toiled here so long ago. He is a careful observer of wildlife, so with him we track the birds, mammals, and reptiles, learning the names and habits of each species. Most memorably, we get to know the individual Bedouin men of the desert who were Tregenza's companions and friends. The nightly show in the firmament captivates him, inspiring him to write beautifully of life's mysteries. The reader becomes, as Tregenza described his own sensation, "subordinate to the strange, overmastering appeal of the desert itself."